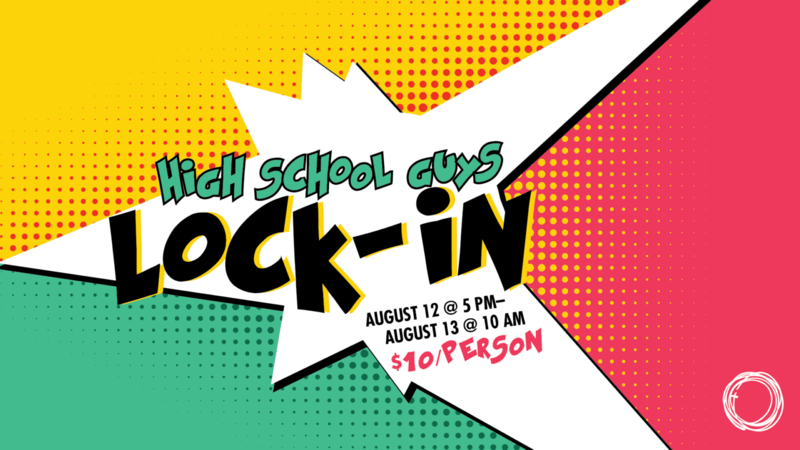 High School Guys—Get ready for the best overnight EVER. We’re talking epic movies, plenty of video games, party games, open gym, pizza, dessert, soda etc. Meet up at 5 pm on Sunday, August 12 and stay until 10 am on Monday, August 13. Email Joran, jweitzer@eastbrook.org, with questions!